This book is not everyone's cup of tea, but I like it. There's also something about it that makes me want to curl up under a soft, cozy blanket with an actual steaming cup of tea. It's the description of the moors- it's like I can feel the winds. I have to admit I also feel a little cold because of the relationships in this book. I know that a lot of people consider this to be a romance, and while I do see some aspects of a romance, it strikes me more as a power struggle. Heathcliff and Cathy are more interested in getting their way without compromising than actually finding a way to be together. They spend so much time and energy trying to win and then punish the other that they miss out on so much. They're mutual obsession becomes the source of so much unnecessary pain and torment not to only to themselves but to everyone around them. No one in this world is allowed to experience happiness. Everyone is inextricably linked, and as much as they might want to break away from each other and from this place, they can't. Or they won't. I think that distinction is different for each character and is something that changes throughout the story. Healthcliff goes from being welcomed into the Earnshaw household by Cathy's father, eventually being preferred by the older man to his own son, Hindley. It takes some time, but he wins Cathy over as well and sets himself up as the target for Hindley's rage when her returns home with a wife and son of his own. He remains close with Cathy, though their friendship is challenged from many directions. I think there's a time when they do truly love each other, but it doesn't last, or maybe it can't. 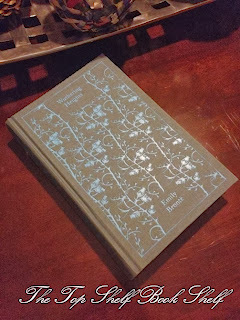 While she is staying at Thruscross Grange, the house closest to Wuthering Heights, recovering from a dog bite, some readers will say that she becomes infatuated with Edgar Linton. I think it's more likely that she becomes infatuated with the Linton's lifestyle. Cathy is materialistic. She wants to be surrounded by luxury and pretty things. Edgar is a means to an end; a very different end than one she could ever hope to have with Healthcliff. Heathcliff can't take being second best to Cathy after spending so much of his life being so far below second best in everyone else's. He runs away, and stays away for three years. He returns after Cathy and Edgar are married, and embarks upon a series of actions that are motivated by revenge and a desire to prove that he's become the gentleman no one thought he could be. He lends money to Hindley to cover the other man's debts and becomes the owner of Wuthering Heights, stealing it out from under the other man, who is far too drunk to realize what's actually going on. 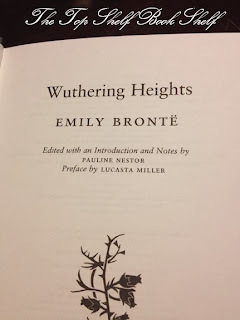 He marries Isabella, Edgar's sister, and treats her so horribly she takes their son, Linton, and leaves Heathcliff, spending her remaining days as far away from Heathcliff and Wuthering Heights as she dared to go. Upon her death, Linton returns to his father where he is unloved and forced into marriage with Cathy and Edgar's daughter, Catherine. Edgar dies without his daughter, as she's basically being held prisoner at Wuthering Heights, and shortly after Linton dies as well. Catherine stays at Wuthering Heights and slowly finds herself in love with Hindley's son Hareton, who has in many ways been brought up exactly as Heathcliff was. 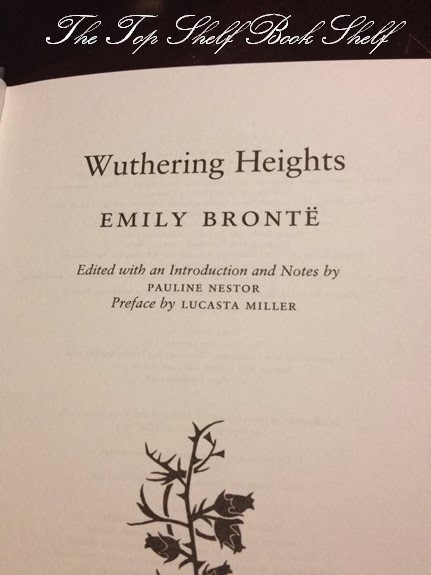 It's interesting to consider how hard Heathcliff fights to gain control over Wuthering Heights, and in the process over Cathy and perhaps most importantly himself. While he ultimately achieves that control, it's fleeting. He won't be able to keep Wuthering Heights forever, memories of Cathy haunt his days, and he slowly reverts to the animal he tried so hard to prove that he no longer was. All of this is driven from his need for revenge and his need to control everything and everyone around him. In the end all of that control was just an illusion. He fought for the legal right to both Wuthering Heights and Thruscross Grange, and both fall to Cathy's daughter and Hindley's son upon Heathcliff's death and their marriage. In the end there is a small sense of hope that Catherine and Hareton will find some true happiness in their lives. There's so much loss and hurt in the story, it's hard to imagine anyone finding something that makes them happy, but there has to be some hope. The two of them are almost a second chance, they can see what might have been for Cathy and Heathcliff if they'd only given their love a chance.